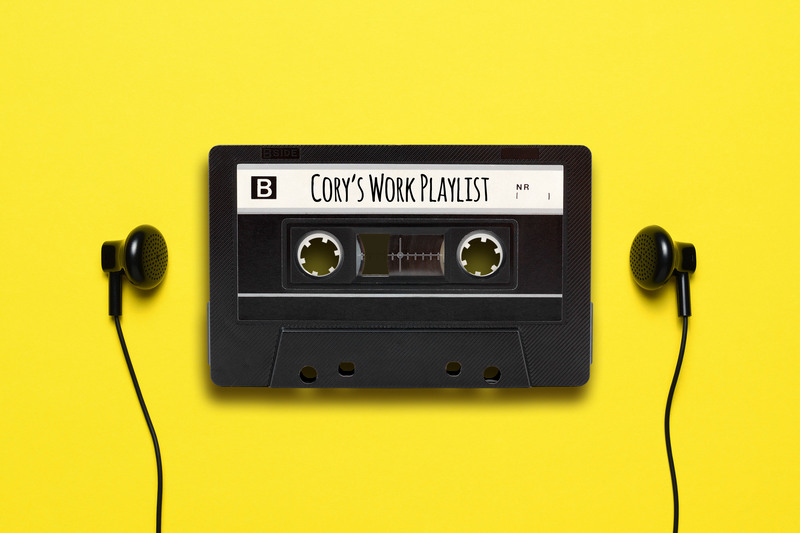 So, Caitlin, Advokate’s super-duper-reliable-help-with-any-project-jump-in-headfirst employee, recently shared a work playlist for all of you fine folks. I thought to myself, “I like listening to music, too! And I like playlists and sharing my picks with the hopes and presumption that people will think I’m awesome!” Wait until you see this list. It’s fantastic. I think. Actually, my music choices aren’t really that well-received in the office. That seems to be a recurring trend outside of my musical circles (which is only, like, my brother and one other buddy). I don’t get it. This is as good as it gets. Anyway, even considering my anti-sales pitch, I still feel like this is a wonderful playlist that everybody will, of course, think is fantastic. We have some upbeat tunes to pick you up, some longer dreamy stuff to get in a zone, and a couple ‘Dude, wake up and get to work!’ tunes. I just like it. To me, it lopes and rolls along with a nice smooth tempo that makes me feel good. This one can get my day off to a good, upbeat start. Brent and Bob are having a lot of fun and I love the 89/90 era and its recordings. I think of Kate, my wife and Advokate’s heart, as the ‘pride of the neighborhood (Glens Falls)’ and worthy of celebration! And it’s a great song. This is my dreamy, get in the zone and focus tune. The bass line is awesome. I’m falling asleep at my desk by now and it’s time for something a bit more aggressive. Also, Britney! Now I’m awake and looking over the to-do list. And Stevie’s funk and hooks are always so good. Another bright, kind of dreamy, mostly instrumental tune to get into a nice, positive thought, focus kind of place. One of my favorite Bob Marley songs. We may as well just listen to all of Legend at this point, too. It’s almost time to go home so let’s pump up the positive vibrations. Seals and Croft may have written the tune, but The Isley Brothers version is, in my opinion, a lot better. Ernie absolutely slays it at the end, too. Sure, you work hard all day, every day, and what do you have to show for it? A 2007 Hyundai. But, stand tall and be thankful for what you’ve got.